Sand Leek (Allium scorodoprasum): growing, planting, caring. 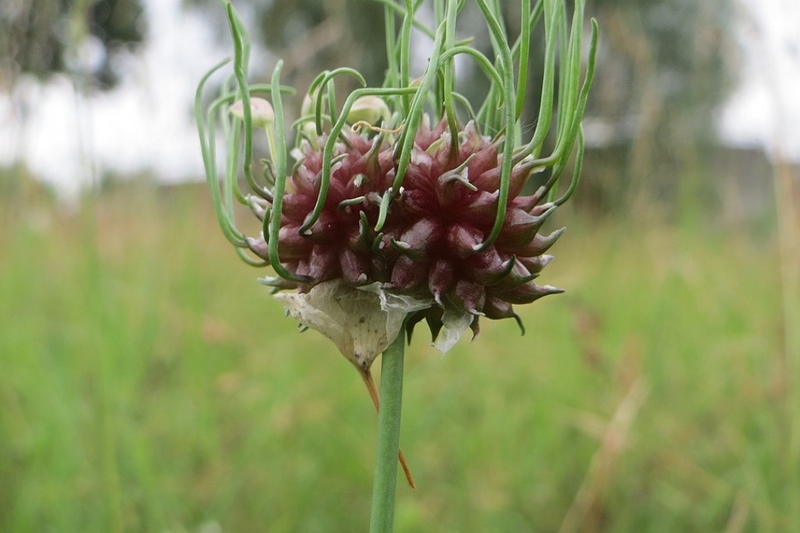 Allium scorodoprasum - The sand leek, also known as rocambole and Korean pickled-peel garlic - is a Eurasian species of wild onion. It is a perennial plant with an egg-shaped bulb. After flowering, around August, it's time to harvest! Do not pull up your garlic, just harvest the aerial bulbils and put them to dry by suspending them.